Influenza is a disease followed by depression, distressing fever and acute catarrhal inflammation of the nose, larnyx and bronchi, neuralgic and muscular pain, gastrointestinal disorder and nervous disturbances. Many times influenza attacks human being as an epidemic and comes to picture during seasonal change. In Ayurveda influenza is called Vatashalaishmika Jwara. As per Ayurveda during seasonal change equilibrium of dosha(Vata, Pitta, Kapha) get disturbed because of change in weather or environment. If sufficient defense power is not there in the human body to resist this change this kind of diseases attack. Ayurveda says, a person with constipation problem and unhealthy nasal membrane or throat are more prone to this disease. 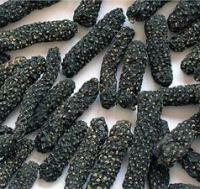 As this disease is associated with constipation and gastric disorder Pippali(long pepper) is a herb of choice to recommend.A half teaspoonful of the powder of long pepper is mixed with two teaspoonfuls of honey and two spoonfuls of ginger juice and is given three times a day.This helps in building resistance power of human body against influenza. This also helps in bronchitis and throat congestion. Tulsi(Ocimum Sanctum) is another herb recommended for this condition. Tea is made up of leaves of this plant mixed with equal amount of ginger powder. If patients don’t like the taste of the tulsi-ginger tea , milk and sugar can be added. This can be given three/four times a day. Turmeric is also a good herb to treat influenza. One teaspoonful of turmeric mixed with a cup of milk is given to the patient three times a day. Tribhuvana Kirti Rasa is an ayurvedic drug usually recommended by ayurvedic doctors to treat influenza. This medicine is available in tablet as well as in powder form in the market. 250 mg tablet of this medicine mixed with honey is given to the patient three times a day. If cough is accompanied by influenza, one teaspoonful of ginger juice can be added to above medicine and given to the patient. All kinds of heavy meal, oily food, junk foods are strictly prohibited in Influenza condition. Give very light and properly cooked food to the patient. Barley or Sago boiled with milk and sugar is an excellent diet for the patient. Bread, biscuit, and soups(meat and vegetable) can be given to the patient.Garlic is highly helpful to influenza patient. Add few cloves of garlic to the food and give it to the patient. Ginger can also be added to soup or vegetables. Don’t expose the patient to cold wind. Restrict bathing activity. Don’t do exercise. Don’t stay awake late in the night. Oil massage should be avoided. Avoid mental as well as physical work and take rest and get well soon. One tea spoon full of Turmeric 3 times a day with milk. How it is possible. I got severe stomach problem. Please dont write these type of advices. First practice on you and your family. Then give advice to the people. Convey this message to all your friends and Ayurvedic specialists, doctors, etc. Alas !! in India any thing and Every thing is possible. Governemnt did not have control on anything. Lot of research has to be done in HERBALS. We are sorry that you got side effects of turmeric.Turmeric should be used with caution by people with gallstones, stomach ulcers, or bile duct obstruction as turmeric may exacerbate these conditions.Turmeric can be a uterine stimulant, so pregnant women should consult with a doctor before taking turmeric during pregnancy. In fact all the herbs and medicines should be taken under supervision of a qualified doctor. As per Ayurveda, different body types(Vata, Pitta and Kapha) responds to different herbs in a different way. Thats why physical examination is necessary before taking any kind of Ayurvedic Medicines including herbs and home remedies. Please visit a qualified doctor near by you first and get a physical test done to check which type is influencing in your body.If you are staying in Hyderabad or near by that place you will find plenty highly qualified doctors. When ever you are doing any experiment on your health please completely read the articles including any additional notes first. Take all precautions possible(visit a qualified doctor) then go ahead with your act.